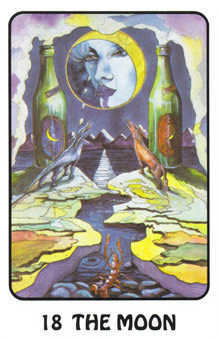 This is an opportunity to draw messages from your inner self. 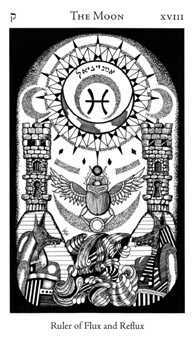 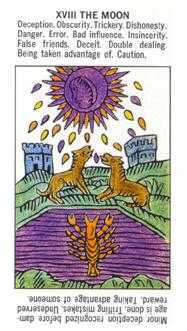 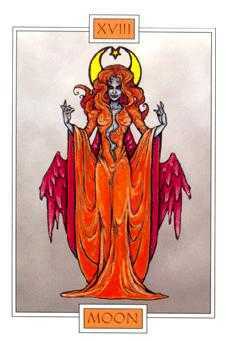 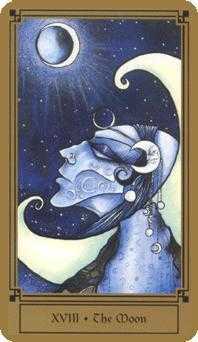 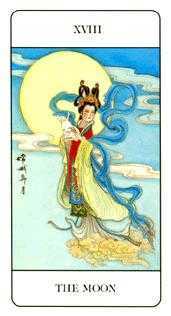 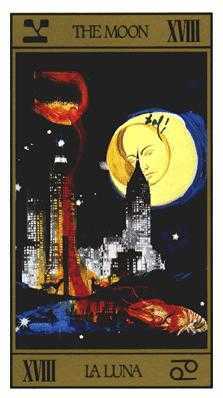 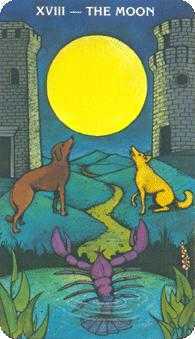 The Moon card refers to a deep state of sensitivity and imaginative impressionability, developed within a womb of deep relaxation. 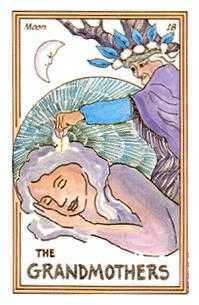 Here we dream and go into trance, have visions and receive insights, wash in and out with the psychic tides, and experience deep mystical and/or terrifying realities beyond our ordinary senses. 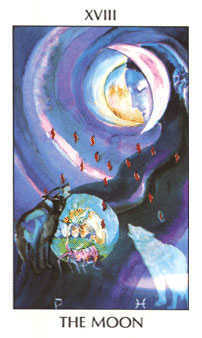 In a state of expanded consciousness, we cannot always control what happens. 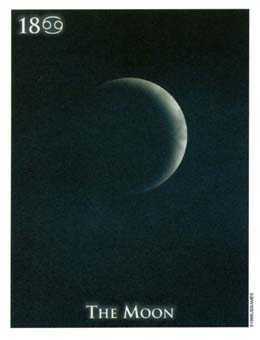 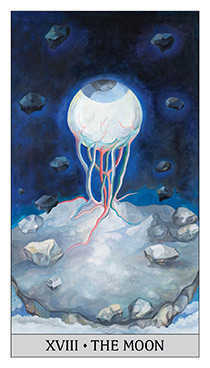 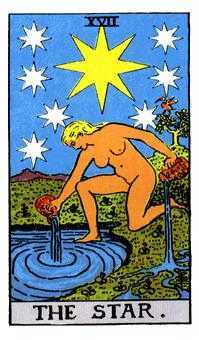 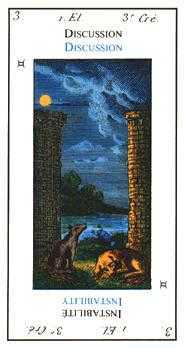 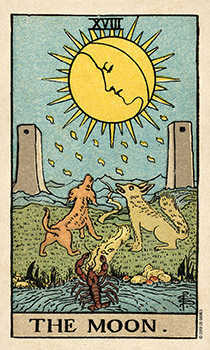 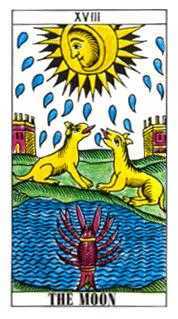 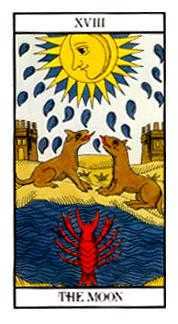 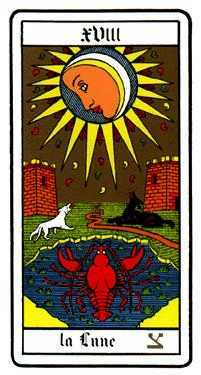 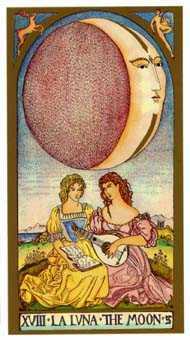 The Moon card represents the ultimate test of a soul's integrity, where the membrane between the self and the unknown is removed, and the drop of individuality re-enters the ocean of being. 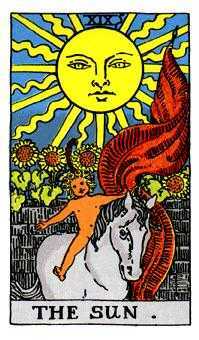 What transpires next is between a soul and its maker. 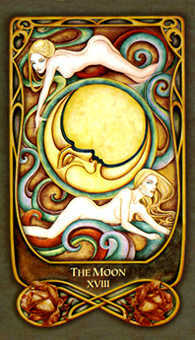 Listen to the body and its unique wisdom. 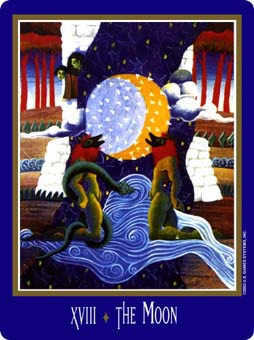 Rely upon your inner resources as your best source of support and security. 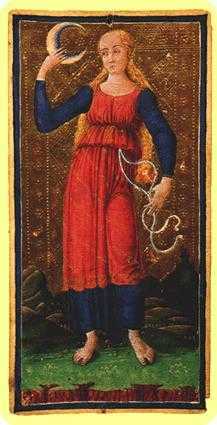 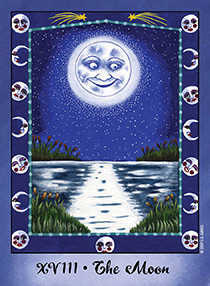 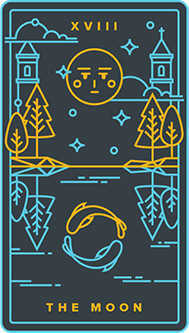 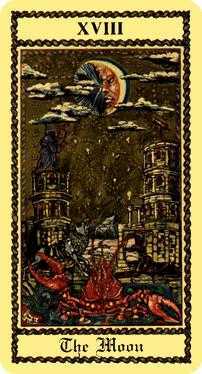 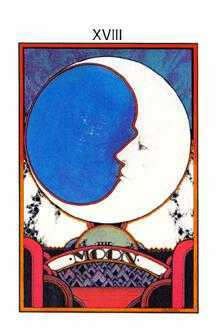 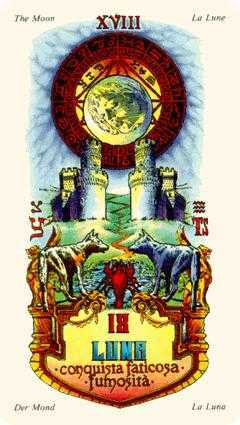 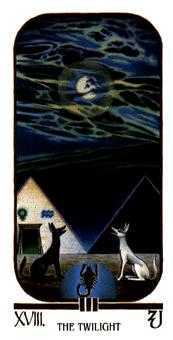 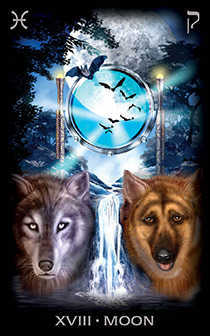 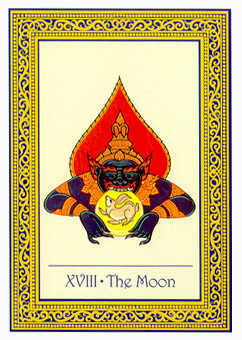 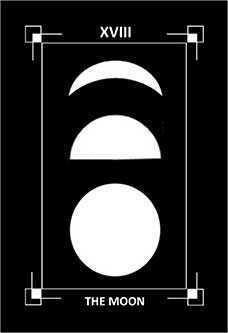 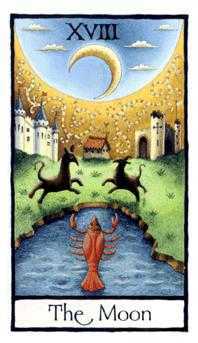 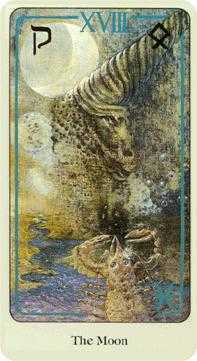 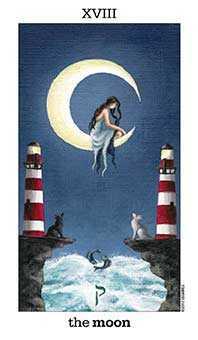 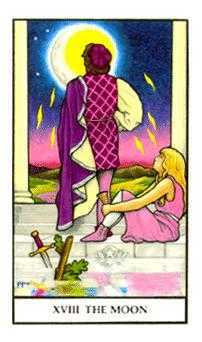 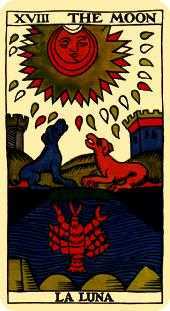 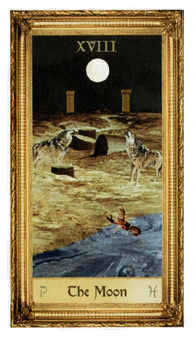 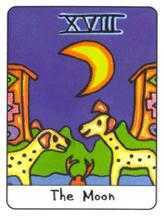 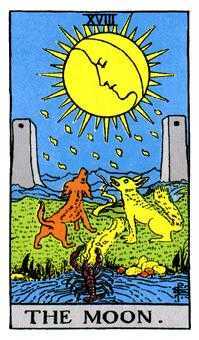 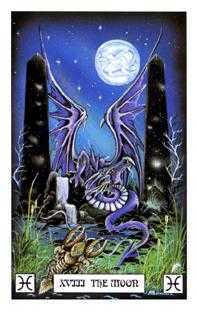 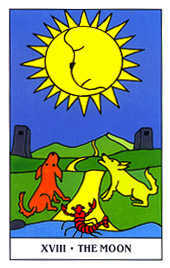 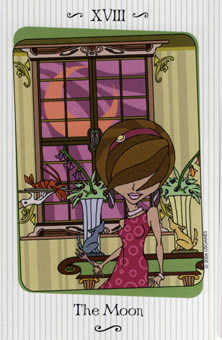 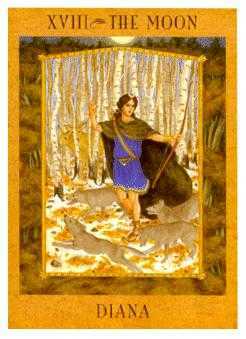 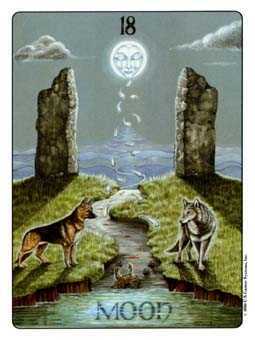 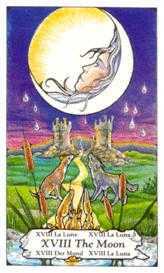 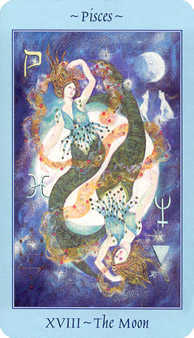 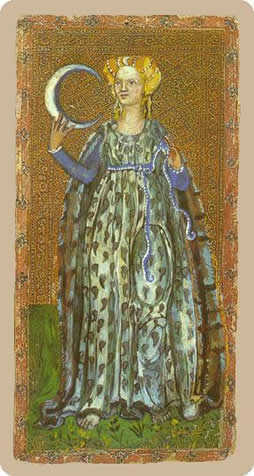 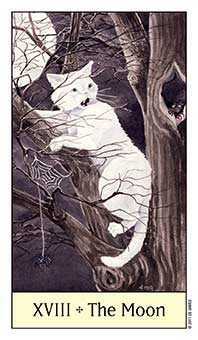 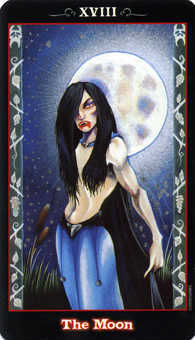 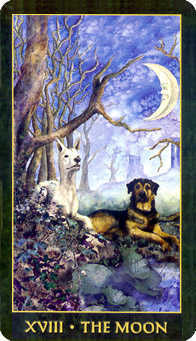 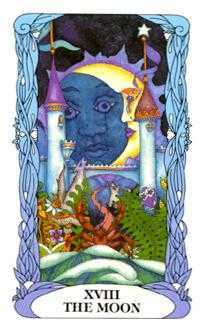 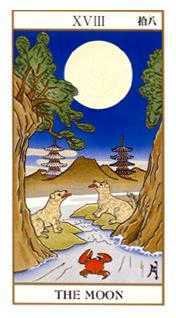 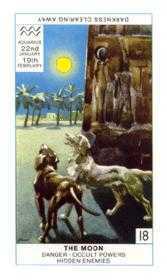 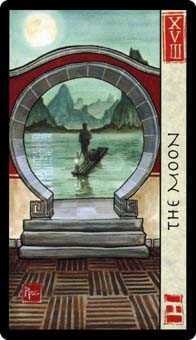 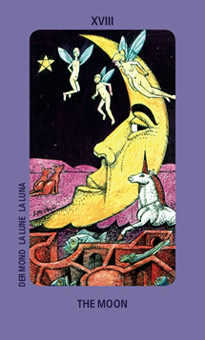 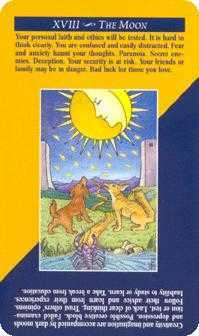 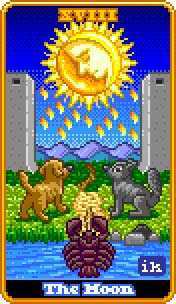 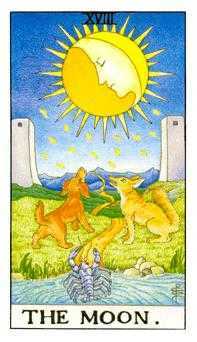 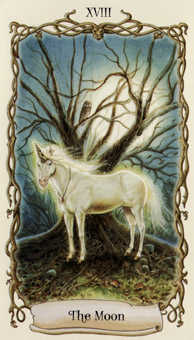 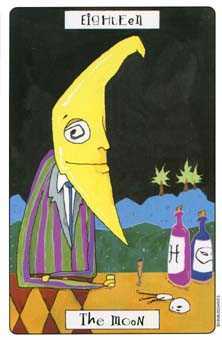 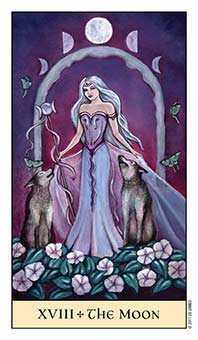 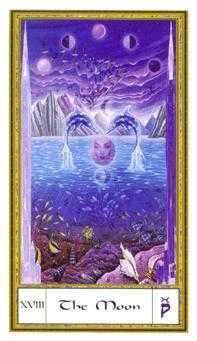 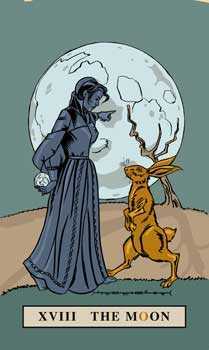 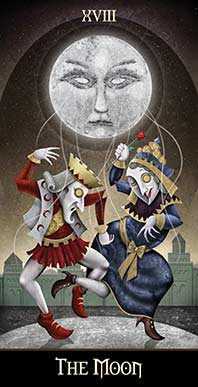 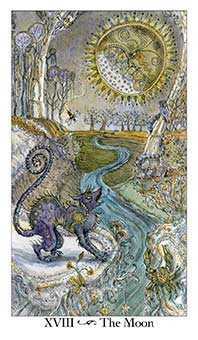 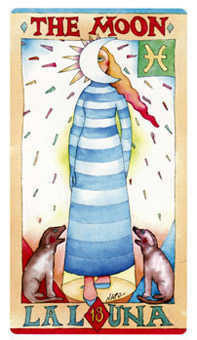 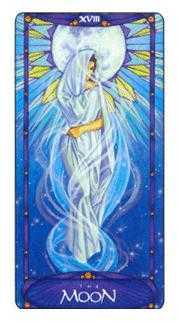 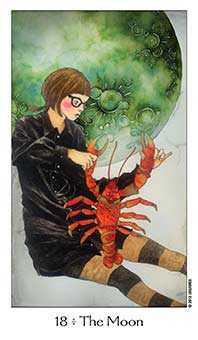 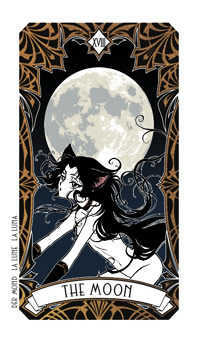 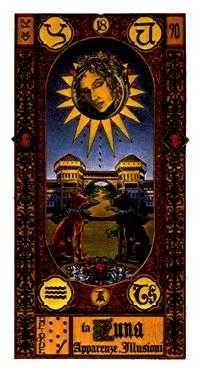 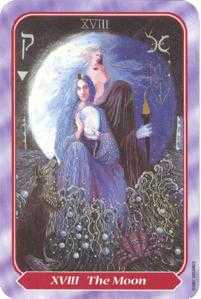 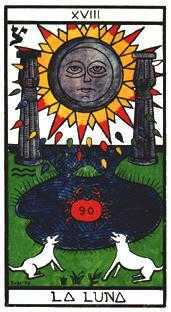 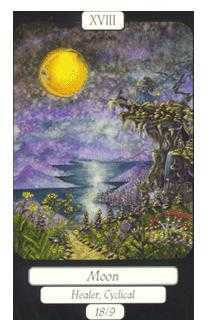 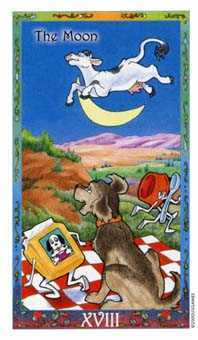 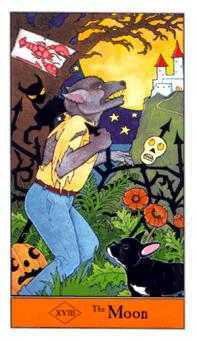 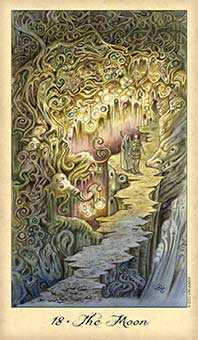 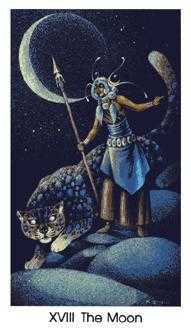 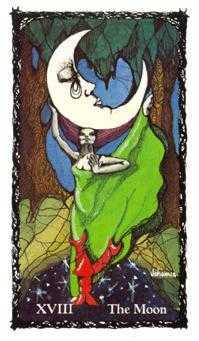 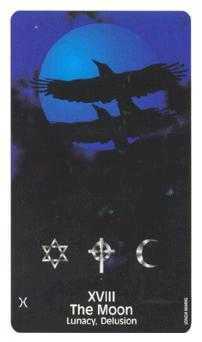 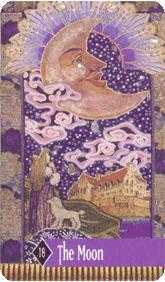 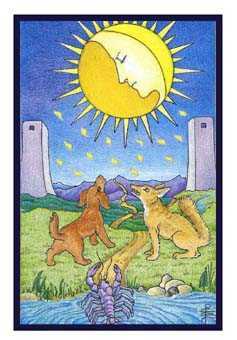 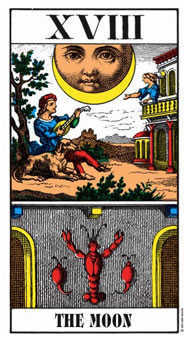 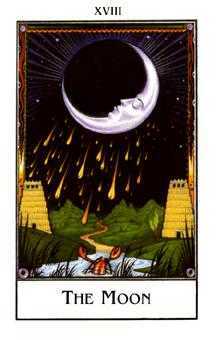 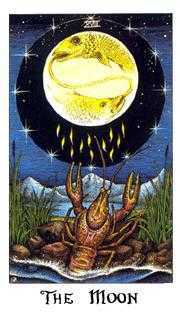 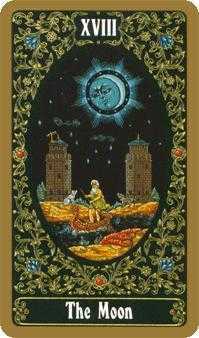 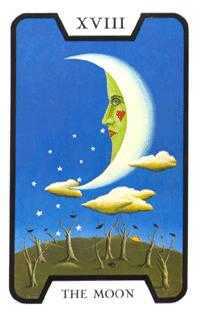 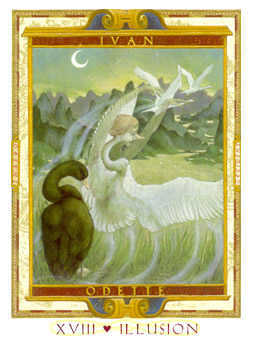 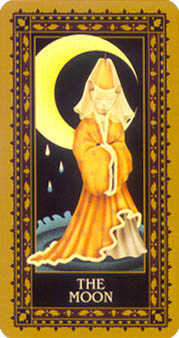 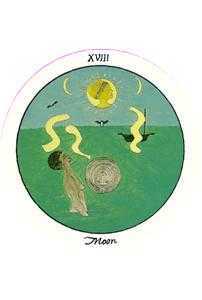 The Moon card advises that you trust your instincts and intuitions. 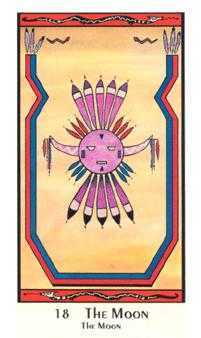 Your aboriginal body, which is connected to all living things, is sharper and quicker than the cultivated, civilized self. 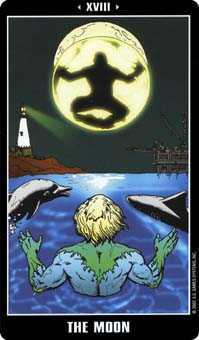 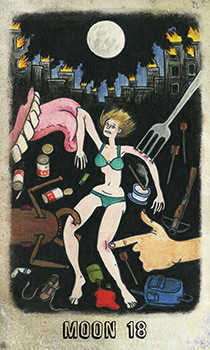 The everyday mind may not be prepared for strange oceanic circumstances. 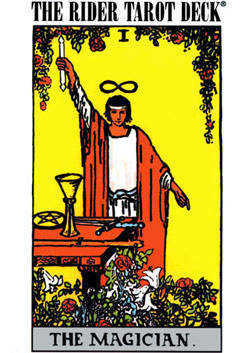 Plus, it has no game plan. 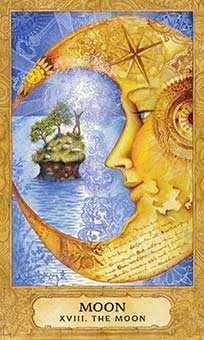 Your intuitive body will support you unerringly if you do not interfere with or try to control what you perceive. 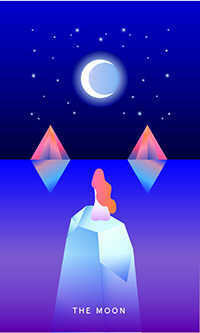 A better approach would be to meditate. 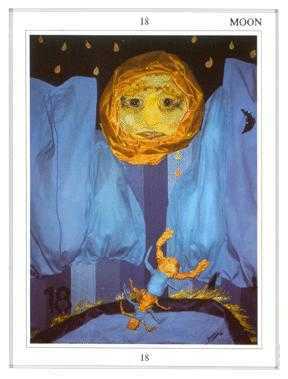 Try to just be a witness. 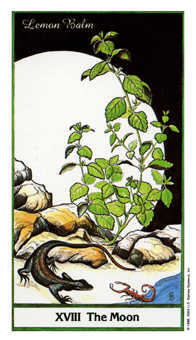 Do nothing; let nature carry you forward. 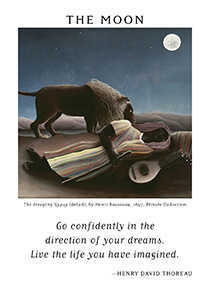 This may be your best option in this situation.